Apple today introduced Apple Watch Series 4, redesigned and re-engineered to help users stay connected, be more active and manage their health in powerful new ways. While retaining the original iconic design, the fourth-generation Apple Watch has been refined, combining new hardware and software enhancements into a genuinely singular, unified form. The stunning display is over 30 percent larger and seamlessly integrates into the thinner, smaller case, while the new interface provides more information with richer detail. 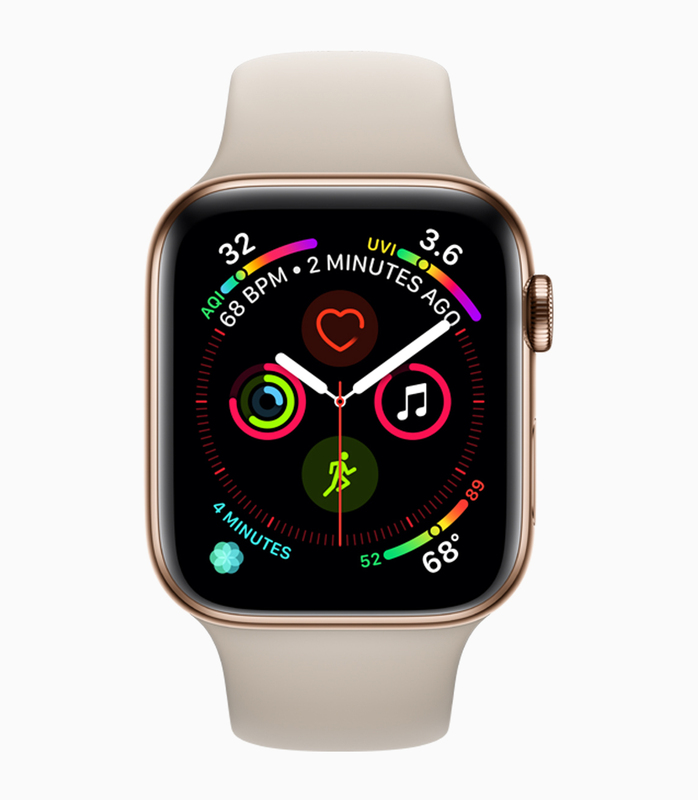 Apple Watch Series 4 with watchOS 5 brings advanced activity and communications features, along with revolutionary health capabilities, including a new accelerometer and gyroscope, which are able to detect hard falls, and an electrical heart rate sensor that can take an electrocardiogram (ECG) using the new ECG app,1 which has been granted a De Novo classification by the FDA. Apple Watch Series 4 (GPS) starts at $399 (US) and Apple Watch Series 4 (GPS + Cellular) starts at $499, both featuring the updated design and new health features. Series 3 will be available at the new starting price of $279, making it even more accessible to customers. 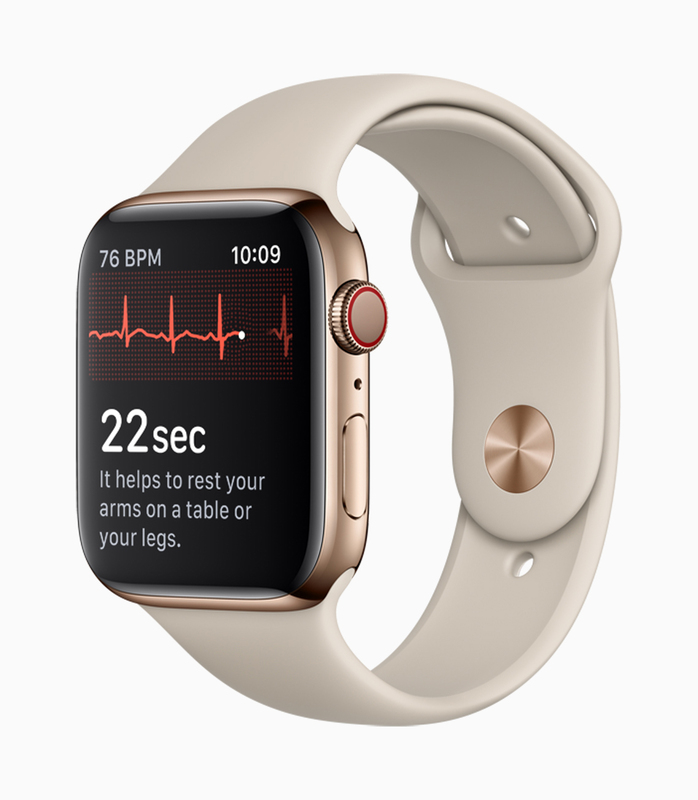 Along with the three aluminum finishes anodized in silver, gold and space gray, Apple Watch Series 4 now comes in a striking gold stainless steel with matching Milanese band, joining the silver and space black stainless steel models. A new collection of bands debut for fall and all bands continue to work with any generation of Apple Watch. Customers will be able to order Apple Watch Series 4 (GPS + Cellular) beginning Friday, September 14, with availability beginning Friday, September 21, in Australia, Canada, China, Denmark, France, Germany, Hong Kong, Italy, Japan, Singapore, Spain, Sweden, Switzerland, the UAE, UK and US, with other countries later this year. For carrier availability, visit apple.com/watch/cellular.